The issues that our students face both in the community and in school impact their ability to be successful in the classroom, after graduation and in the community. JED is a comprehensive educational workshop and leadership development model that will engage high school students (grades 9-12). This program is designed to develop an awareness of the career opportunities in corporate, community based organizations, and government at the same time exposing the student to executive leadership in these types of organizations. Be better prepared to serve as a leaders in his/her school and the community. Be more knowledgeable about the world of work and what it takes be a leader in the corporate, civic and governmental communities. Be better prepared to be a peer to peer educator for other young people. Gain skills to be better prepared to enter the world of work. We are recommending no more than 100 students in the JED Program- Cycle 1. There should be fifty young men and fifty young women The students will be divided in five student clusters with twenty students each. 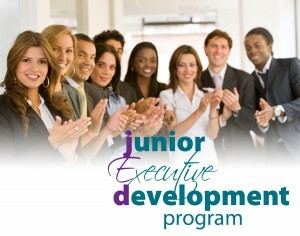 We are recommending that we select five Executive Partners who would agree to be a sponsor of the JED program. That would include financial support and agreeing to host five executive round table session at their office. These session should be no longer than 90 minutes. This will include either breakfast or lunch. Students selected will attend a full day of student orientation and training. Etiquette; becoming business and socially prepared. Once a month for five months, the students would attend a session as a Student Cluster to one of the five Executive Partners office. During the visits they would have the opportunity to meet and interact with the EP and members of the executive leadership team for that organization. This visit may include; site visit of office, presentations about the operational issues of the organization and what it takes to succeed in that organization. At the conclusion of the program we would host a celebration and graduation luncheon for the students, parents and other key stake holders. Student website – Leadership At Its Best would have a web site designed for the stake holders to keep them advised and updated on the progress of each POD. Facebook – Leadership At Its Best would have a Facebook page for this project.